Quoss doubled up on the hand to more than 60,000 late on day 1B. Coming in late in the action with the board showing K 2 2 5 10 there was a nice sized pot of about 13,000 in the middle. Fabian Quoss bet 8,000 and his opponent thought about it for a minute. He then folded and eyes widened across the table as Quoss tabled pocket twos for quads. On the next table, a player is deep in the tank on a board of Q-5-3-Q. His opponent had moved all in for 14,075 and with 18,025 in front of him, it was obvious the player had a difficult decision to make. He threw away his pocket kings and sighed. Quoss was eliminated in fifth place and he will take home Â£107,000. Board: J 10 9 Q J? Lamke hit a straight on the turn to win his first gold bracelet and $692,658 in prize money. Quoss was awarded $427,912 for his second-place finish. Quoss won the hand to grow his stack to 7,666,000 heading into heads-up play and Keller was eliminated in second place. Gerasimova was eliminated on the hand in fifth place and Quoss grew his stack to 4,570,000. 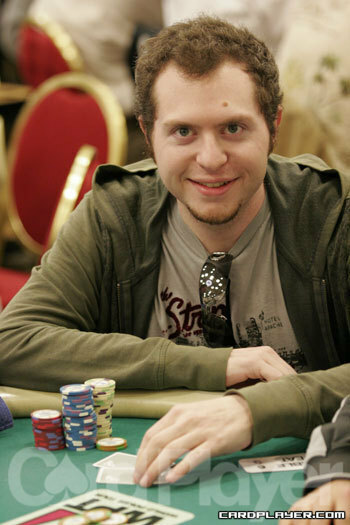 Sowers was eliminated in fourth place and Quoss increased his large chip lead to 6.4 million. Billy Kopp moved all in for his last 75,000 and both Fabian Quoss and Thomas Keller made the call. The flop came 7 5 4 and Quoss bet 75,000, allowing Keller to fold. Quoss showed J J and Kopp was behind with Q 9 . The turn and river came Kc6h and Kopp was eliminated.